Modern technology has evolved the way we power electronics of all types, from radios to cameras to phones. For years, those looking to address hearing loss have hoped for a similar progression—and the industry is finally realizing the promise of a powerful rechargeable hearing aid battery. Disposable hearing aid batteries have traditionally been the power source of choice among manufacturers, with size 312 batteries serving as one of the more common battery types. Today, the most popular version of these batteries is known as a “zinc-air” battery. As the name would indicate, a zinc-air battery is affected by the presence of air. In the case of the 312 batteries used in many hearing aids, the user is required to pull a small tab off the back of the battery before it is activated and operational. As soon as it is fully oxygenated, it begins to lose power. That means power is beginning to drain whether the user is ready for it to or not. Most users consider the duration of life to be the biggest drawback of disposable batteries. Some reports have cited the average life expectancy of a size 312 disposable battery to be between three and 12 days, which means users could replace their batteries around 120 times per year. That also means users may need to buy 120 batteries, spend the time twice a week to change them and properly dispose of each. From a cost perspective alone, that likely equates to more than $100 in battery purchases. Fortunately for hearing aid wearers in search of another alternative, there have been profound improvements to rechargeable hearing aids that now make them a viable option. Studies have shown that most people overwhelmingly prefer to wear rechargeable hearing aids. Until now these models have historically struggled to provide a long enough charge to make them practical. However, recent advancements now enable a full day of use per charge. 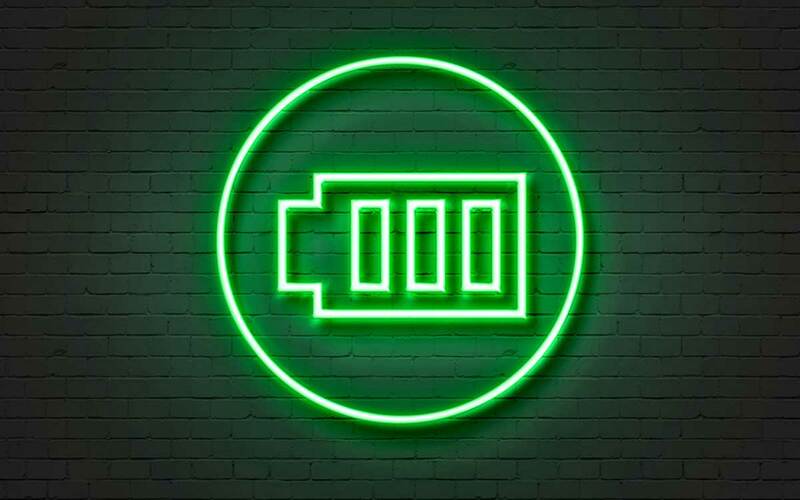 Users won’t see significant cost savings by switching to rechargeable batteries, but where they will see a demonstrated improvement is in quality of life. In addition to providing 24 hours of use time, these new models result in less aggravation for the user, since there’s no more changing and disposing of batteries. Instead, they only need to pop out the battery and place them in a convenient tabletop charging unit. A disposable battery nearing the end of its life simply can’t operate at full capacity. There’s also no real way to know how close to being inoperable the battery really is. As a result, users risk putting themselves in a situation where their battery could die at a critical time. Not only is this a safety hazard, but users may miss out on important life moments due to a faulty battery. Rechargeable batteries come in a variety of different materials, each offering distinct advantages. Integrated lithium-ion batteries are one option being used by manufacturers because of the ability to hold a 24-hour charge. You may be surprised to know that this same type of technology is what charges and powers your cellphone. Silver-zinc technology is another material used for today’s rechargeable hearing aids. This innovative approach was initially developed for NASA’s Apollo missions to the moon. You can even use this technology to update and retrofit the existing hearing aids you’re comfortable with by converting the device to rechargeable power. Just like lithium-ion, silver-zinc can also supply enough power to last you for a full day. There are also models that allow you to recharge the hearing aid without removing the battery at all. For these, users will slip the entire hearing aid into a charging station when they sleep or during another time the device is not in use. While each of these rechargeable solutions provides substantial benefits over disposable batteries, each option should be properly vetted to get a complete picture and to see if it’s right for you. If you’re looking for more information about hearing aid technology or how to select the proper hearing aid to satisfy your needs, we encourage you to check out our hearing aids section. Previous « Is Tinnitus Hereditary?